When we go to the hairdresser, we expect to leave the salon feeling fantastic, with the only slightly painful part being parting with our hard-earned money to pay the bill. Many of us take pride in our appearance, and whether we have a customer facing job or not, we like to look our best, which is often why we visit the hairdresser in the first place. Unfortunately, however, sometimes things go wrong, and we don’t leave the hairdresser feeling the way we should. If that is down to a bad choice of haircut by us, then unfortunately it is not something we can do much about, but if we receive an injury that is caused by a hairdresser who has been negligent, then there is something we can do. Here at Accident Claims we can assist with hairdresser injury claims that cover a variety of different incidents. You can claim hairdresser compensationif you have become injured due to your hairdresser, be it compensation for hair damage, or other forms of hair salon negligence, such as cuts and even trips and falls in the salon. Hairdressing claims can, however, be complex, so it is essential you understand the process and how we can help. We can explain this over the phone on 0800 073 8801, or you can read below to see if we have covered the hairdressing compensation claims questions you have. What are the main causes of a hairdressing injury? What should you do if you are injured at a hairdressers? Who is liable for injuries sustained in a hair or beauty salon? Can I claim for damaged hair? What can I include in my compensation claim for a hairdressing injury? Why choose Accident Claims UK as your claims service? 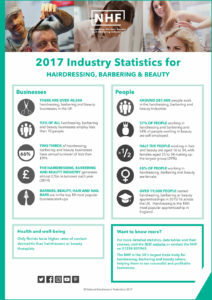 The hairdressing industry is huge, with over 40,000 hairdressers and barbers currently operating in the UK, according to the NHF. It stands to reason that many of us have a regular hairdresser we prefer to use; after all our hair and the way we look is important to us. However, whether your regular hairdresser or barber has made a mistake, or you have used a new salon who has not given you the care they should while you were in their salon, then you may have cause to claim against a hairdresser for compensation. In this guide, we take a look at common questions such as ‘What is the hairdresser’s responsibility?’ or ‘Can you sue a hairdresser for ruining your hair?’ as well as giving an idea of how much compensation you could be looking at for your hairdressing claims. Accidents in hairdressers are more common than people think, and they can be caused by a variety of failings on the part of the hairdresser or the salon owner. Some of the more common causes are listed below but if you feel your story falls outside of these boundaries then do not worry, you can just get in touch with our team and we’ll be able to go through what has happened to decide whether you’re likely to have a valid claim. 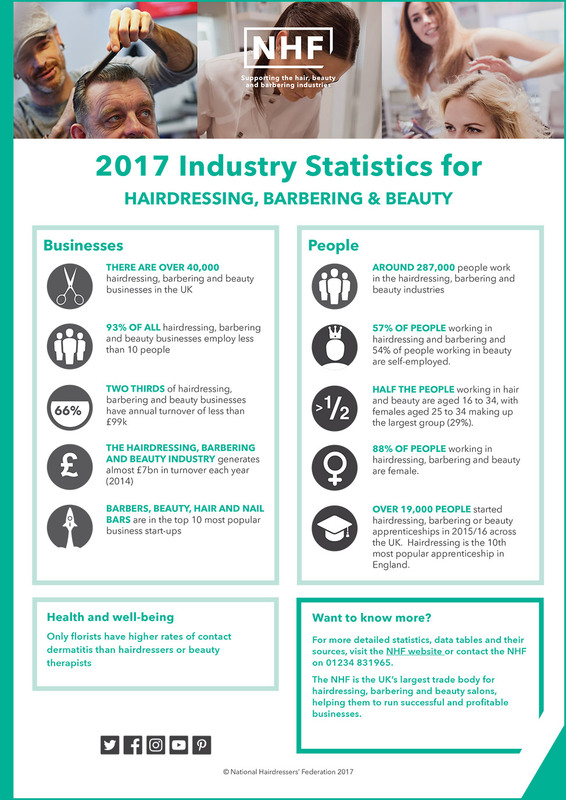 Poor training to staff – Getting the right training is essential for all staff in a hair salon to properly do their job and minimise risks of injury to clients. Should a trainee or staff member not have sufficient training, or the training is of poor quality, then this can end in injury to the client leading to hair damage claims. Cuts from scissors – It is essential that proper care be taken when using hairdressing scissors. A slip of the scissors can result in serious injury, with some cuts leaving visible scarring. Burns from equipment or chemicals – Whether the chemicals a hairdresser has used led to chemical burns or you were burnt with hairstyling equipment, you should be able to claim for compensation, for damaged hair, or skin. Allergies – Patch tests are essential when using a chemical for the first time, and it is essential a hairdresser knows this. Should they not complete a patch test, or change the chemicals they’re using after a patch test was done, then you may suffer an allergic reaction leading to the need to contact hair lawyers. Loss of hair/Damage to hair – Should a hairdresser use treatments for too long or not use the right products, or be negligent in the treatment of your hair, they may be liable for any loss or damage to the hair that has occurred as a result. Instrument contamination or poor hygiene – If clean equipment is not used when treating you then you could suffer infections of the scalp. The HSE promotes the wearing of gloves to avoid a condition called dermatitis that could cause issues should you get it. Slips and trips – Hair salons must be kept clean and clutter free to avoid slip and trip risks and clear up any spillages as soon as possible. If you suffer a slip or trip at the hairdresser because they haven’t taken these precautions, then you may well be right to make a claim to compensate you. What should you do if you are injured at the hairdresser’s? After you have been the victim of a hairdressing salon injury, you may wonder what action is best to take. Obviously, the initial priority is to obtain medical advice and/or treatment before you do anything else, even if you feel your initial symptoms are not severe. Not only will this give you the best chance of receiving accurate and useful advice and treatment but it will also allow you to have a record of what has happened, written by a professional. Keep hold of evidence – Whether you obtain photographic proof of what’s happened, by way of either of the injuries or damage you’re left with or the scene where the accident happened, this can be useful if you choose to make a claim. It is important also to keep any documents that prove you have incurred any costs, whether medical treatment or travel to appointments due to what has happened. Take witness information – Anyone that saw what happened to you, whether other customers, other staff members or members of the public could prove useful should you claim for damaged hair or other hairdressing injuries. Make sure to carefully collect contact information for them. In addition to this, write down your account of what happened as soon as you possibly can to save your memory becoming confused later on. Call a professional claims service – Whether you’re sure you want to make a claim or have questions about whether you might have one, then calling our claims service will give you everything you need to move forward. In most cases your claim won’t require you to pay any funds straight away, as the payment will be taken as a percentage of the compensation you will be awarded. We can provide you a solicitor that works on this basis. Should your hairdresser not have taken the required precautions to protect you from chemical burns, either by performing a patch test or correctly protecting your skin then it may seem that they are at fault. If, however, you have refused a patch test, the matter becomes more complicated. The person that was supposed to protect you may not have been trained properly, or they may have made a mistake. Liability will then depend on their employment status within the salon and who was responsible for their training or whether they were negligent. This is also quite complicated. It depends on whether the user of the equipment used was properly trained, or whether they were negligent, and again calls into question their status of employment. What is taken into account when looking at liability for this sort of incident is whether the equipment provided by the manufacturer was fit for purpose, whether it had been maintained correctly, or kept clean. Hazards should be signposted, and clutter and slip and trip hazards should be kept to a minimum and signposted where they cannot be removed. If this is not the case, then it is almost certain the salon can be found liable. There is a lot of legislation covering health and safety and this extends to the beauty industry. There are a number of things that salon owners and hairdressers must do by law, and some of these are listed below. If your salon owner or hairdresser has not adhered to these then call us and tell us what has happened – we can help you with your claim. It is law that patch testing must be completed prior to hair colouring products being used. This is essential in order to make sure that allergic reactions do not occur as well as checking the colour is the one the client has requested. It also gives an opportunity to make sure that the chemical does not damage the client’s hair. The COSHH Act 2002 requires that a hair salon properly dispose of chemicals such as perming solutions, peroxides, and all other chemical products used. Without this requirement, the products mentioned could cause issues within the environment. All electrical products used within a salon should be inspected and maintained regularly to ensure that they do not pose a risk to salon users. This comes under the Provision & Use of Work Equipment Regulations 1998 Act. A salon owner has a duty to care for the health and well-being of clients while in the salon and this duty includes ensuring that all salon staff are properly trained and competent at their jobs. Should your salon owner or hair stylist be negligent of the rules mentioned above or any other legal requirements, you should be able to make claims for hairdressing injuries. If your hair has damage after your hairdresser has treated it in any way, you may be asking how to sue a hairdresser. In some cases, the answer will be yes. Here, we list some of the most common reasons for claiming compensation from a hair salon or hairdresser – this should help you decide if you should take a claim forward. If the reason you’re thinking of trying to claim against your hairdresser is not listed here, it does not mean that your reason is not valid. We can only cover a certain amount of information in this guide and we can clarify further if you call us with your reason. One of the main reasons for claiming is psychological damage that occurs when our hair is damaged or we are injured. This can be to our self-esteem – and in some cases, people can refuse to go out for fear of being stared at until the damage is reversed. If the damage cannot be reversed, they may suffer psychological problems. Uneven cutting or being left with bald patchiness can make your haircut look dreadful. If this is caused by negligent behaviour of your hairdresser, by way of uneven cutting on chemical burns causing patchy hair, then you should consider making a claim. If your hair has been pulled out, or the wrong products used, or even if the right products were used incorrectly, you may be left with bald patches, or, in extreme cases you may be left completely bald. Should you be unfortunate enough to suffer this due to your hairdresser, then chances are you would have a claim. A skin condition that can be caused by chemicals or allergic reactions to products, dermatitis can cause patches of dry skin on the scalp as well as dandruff. It can be difficult to get rid of in some cases. Whether caused by hair styling equipment or chemicals, this can damage the hair and the scalp and in some cases can leave permanent scarring. If chemicals are used incorrectly, they can cause a lot of different reactions, and one of this is making the hair extremely brittle. This is often the case where the chemicals were left on for longer than the directions advised. If the brittleness can be put down to the hair salon or hairdresser’s negligence, then you should consider claiming. We will talk to you about what happened: We will almost always have some questions to ask about what happened to you at the hair salon, but none of these are very complex, and we will explain why we need to know the answers to these questions. We will then ascertain whether we feel you have a claim. If not, we will tell you the reasons why. Feel free to ask questions at this point or any point during the call- we’re always happy to explain things. We will then, if you have a claim, offer to provide to you a solicitor with experience of pursuing hairdressing claims like yours. You don’t have to use the solicitor we provide, and you can ask any questions you like as to who they are, what experience they have and whether you can have a hairdressing no win no fee claim with them – the answer is almost always yes. If you decide to go ahead, we can sometimes connect you directly to the solicitor, who will then go about taking your claim forward, pushing for the maximum compensation possible for your injuries. Should you have any further queries about the process we can discuss these when you call. We prefer all our clients to be clear on what they are about to do. Medical Expenses – Whether this is expensive creams prescribed by a dermatologist, or painkillers prescribed by your doctor, or any other medical expenses. These should be included as part of your case. Travel Costs – Whether you have to visit a dermatologist or doctor for your damage the cost to travel and park should be reimbursed so make sure to keep receipts. Special Award – Any costs you have had to fund because of your injury such as lost wages, possible future lost wages, care costs etc should be covered as part of this. General Award – A Payment based on your injury/ies and the suffering and pain you are said to have borne – both physical and mental. As previously mentioned, there are lots of different types of injury that can occur. Here, we have put together a hairdresser injury compensation calculator of sorts, in the form of a table which illustrates common award brackets for certain injuries. If you’re not sure yours is covered here, why not get on the phone to us – we can then help clarify this for you. Damage to hair caused by treatments including colouring etc – Severe Between £5,575 and £8,375 Causing brittleness of hair, dermatitis or tingling/burning – more severe psychological damage could receive a higher award. Female Facial Scarring – Significant Between £13,650 and £22,875 Effects can be reduced with plastic surgery. Female Facial Scarring – Less Significant Between £3,000 and £10,450 One scar or several small scars that can be masked.. If you have a different injury that is not in this table, then don’t forget you can get in touch with us at any time and we will try to determine common payment amounts for your type of claim. Should you have been injured in the hairdresser’s you may think that there’s a hefty fee to pay to begin a claim but this simply is not true. Most of the hairdressing injury claims today are taken on a no win no fee structure, which means nothing will be there for you to pay to start a hairdresser claim, and the only payment that will be made to your solicitor will be as a percentage of your final compensation payout. This is good news for anyone, whether your claim is successful or not. If it isn’t, you won’t have to pay. Choosing a claims service is as personal a decision as choosing a hairdresser – you want to get one that is right for you. We believe we can be that claims service, because we have helped plenty of people in your situation gain the maximum levels of compensation they can for this type of claim. Our previous clients will testify to our dedication to getting things right and providing not only a sympathetic ear, but a true understanding of what’s involved and how to get you the right solicitor to take your claim to a successful conclusion. We hope that one day in the near future, you’ll be giving us the same kind of reference. If you have further queries about our service, your potential claim, or even if you’re ready to begin a hairdressing claim, then the number to call is 0800 073 8801, where one of our legal experts will be happy to give you advice or start you on the road to gaining your deserved compensation. Alternatively, emailing us on office@accidentclaims.co.uk will allow us to respond to you via e-mail should you not be available on the phone. There’s no time like the present to get started, and we’re always ready to hear from you. This shows the information the HSE has provided about the industry and health and safety within it. Scarring information from the NHS. If you’d like information concerning taking action through small claims court, this might give an idea, however, you are always best speaking to a solicitor.